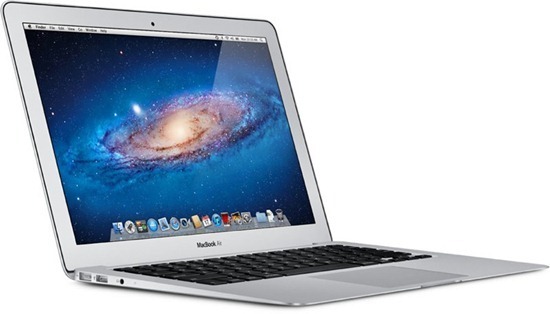 Apple Awarded Design Patent For MacBook Air, Are Ultrabooks In Danger? It is growing to be an increasingly difficult task to keep up with who owns what patents, and with companies applying for, and being granted more and more, the task looks set to be come even more tasking. We have seen news coming out of California in the last few days that Apple have just been awarded an additional nineteen patents related to various products and technologies, one of which relates to the design of their ultra thin MacBook Air range. In recent times it seems as if a lot of large corporations have been applying for patents which cover extremely vague topics and then using these patents in an attempt to block other manufacturers from producing products. Obviously, in the case of the MacBook Air patent, this is not the case, but Apple could attempt to use the patent to restrict manufacturers who produce their own range of extremely thin and light laptop machines from extensively marketing them in the United States. The ‘ornamental design for an electronic device’ which is patent number D654072, lists the late Steve Jobs as one of the original inventors and adds to the former CEOs list of patents on which he is named. The awarded patent makes no actual reference to the MacBook Air product name, but does include sketches and drawings of a tapered laptop which undeniably represents the Air. Reports earlier this week on the 9to5Mac website had claimed that an approach had been made to Pegatron, by Apple, in an attempt to get them to stop production of the Asustek Zenbook laptop which is coincidentally identical in appearance to the MacBook Air. While there as been no official confirmation of that outcome, it seems as if Asus will be forced to look for an alternative manufacturer as of March with Pegatron reportedly ceasing production of the device. Now that the patent has been officially awarded to Apple, the next few weeks and months will be crucial in determining what action they will take with this award behind them. 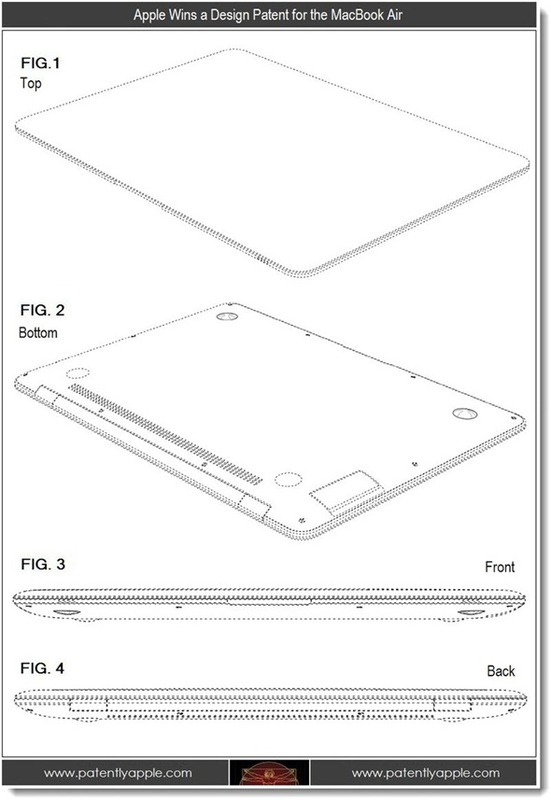 The reported approach to Pegatron regarding the Zenbook came before the patent was awarded to the company, but it will be interesting to see if Apple attempt to make a move against makers of Ultrabooks and whether the company sees this product as a copy of the MacBook Air. 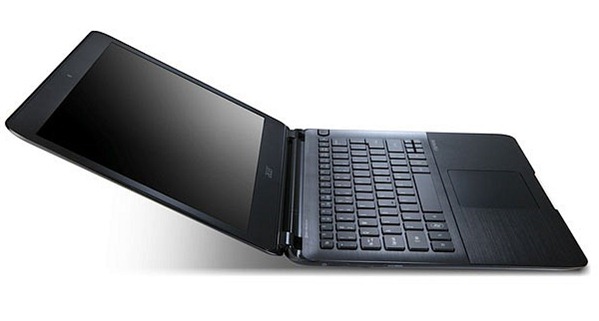 Ultrabooks are Windows-based ultra thins which are destined to be build upon the Air’s success, it is highly likely that we will see manufacturers churning out more Ultrabooks in an attempt to compete. I don’t think anyone wants to see Apple going head to head with companies like Dell and Samsung over this new patent, but the solution seems pretty clear – design something new. The HP Spectre is one example of a Windows-based Ultrabook which bears no resemblance to the MacBook Air, and considering the patent only covers the design of the electronic device, HP should have nothing to worry about.